It’s no secret that I love Macy’s and all of their celebrations in the finest way possible. From fashion, to food, to culture, they do it all. 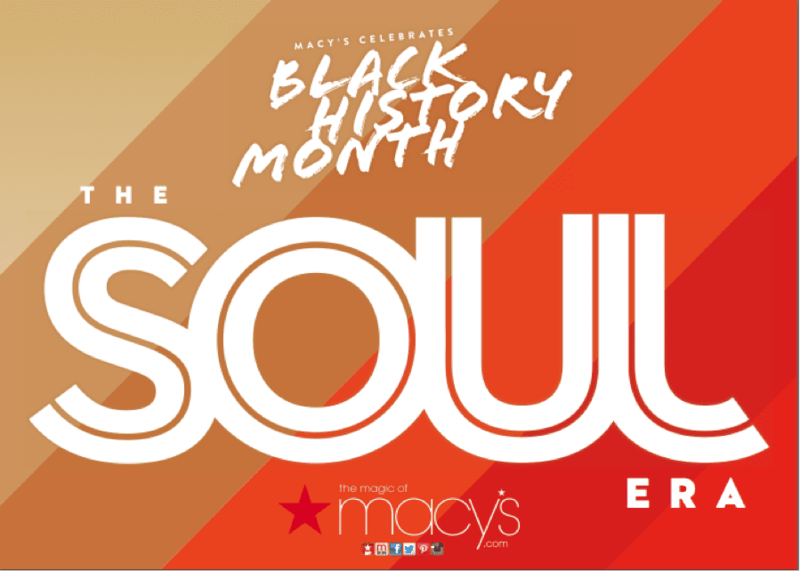 This month, I’m heading back to Macy’s State Street for their Black History Month celebration of The Soul Era. With hosts, June Ambrose and Johnetta Boone, it is sure to be a style event like no other! They always put on an excellent event, and in the past, we’ve been treated to a GREAT time! One of these days, I’ll make you all believe that I actually do love fashion and style, especially from times before I was born. This month, the fashion icons will be highlighting fashion from the 60’s and 70’s and talking about the effect that the fashion from that era has on ours. These are the fashion times that I’m enthralled with, and happen to try to emulate in patterns that I sew up. My parents were born in the early 60’s and they’ve ALWAYS looked great to me in their outfits when I’m going through photo albums. Bell bottoms, afros, all of that has trickled down to how I dress and wear my hair. With dressing the likes of Will Smith, and Zoe Saldana, and having been featured in Vogue Germany, New York Magazine, VH1 and HBO, it’s going to be an awesome experience! And they both will be at a Macy’s near you! You can RSVP here and come and hang out with me and others at Macy’s State Street on the 19th of this month!